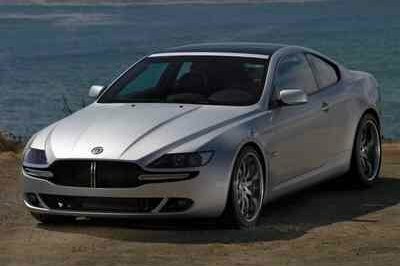 The 2013 Geneva Motor Show is the next show of the year, and each day we get more details on the models to be displayed at the show. 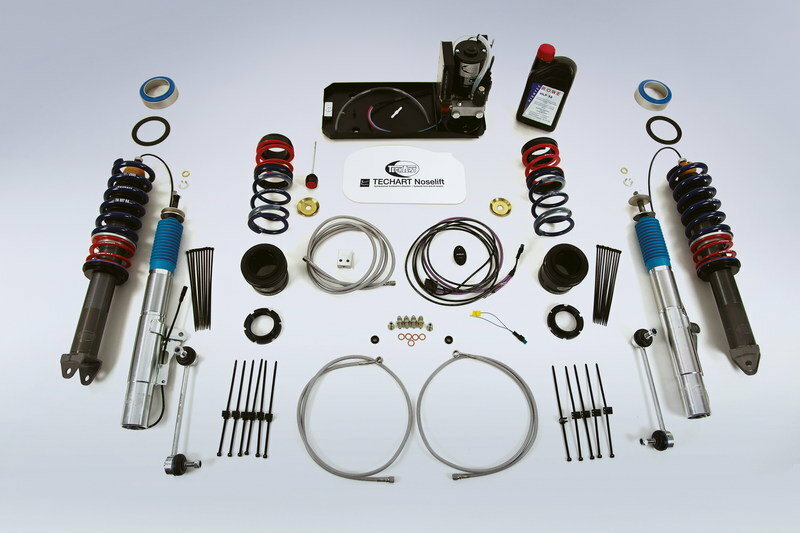 For example, German tuner, TechArt, announced a pretty cool upgrade kit for the new-generation Porsche Carrera 4S. Although the tuner only announced upgrades for the exterior and the interior, all of these additions transform it into an even cooler sports car. 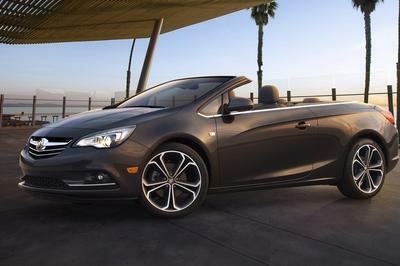 Upgrades for the exterior include the addition of a new nose-lift system that adds 60 mm (2.36 inches) more ground clearance. This system can be activated when stationary or while driving, and at speeds above 37 mph, the vehicle lowers automatically. 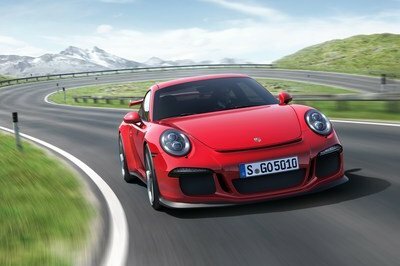 The tuner adds a new front spoiler that adds 11 pounds of downforce to the front axle at speeds of 86 mph, a rear spoiler and a new diffuser adds another 36 pounds of downforce to the vehicle’s rear axle. The kit also includes two aero wings and new side skirts. The car sits on a set of alloy wheels sized 20 or 21 inches and are offered in a five-spoke design. TechArt also offers a new racing exhaust system with valve control and double center tailpipes that offer a more aggressive exhaust sound. 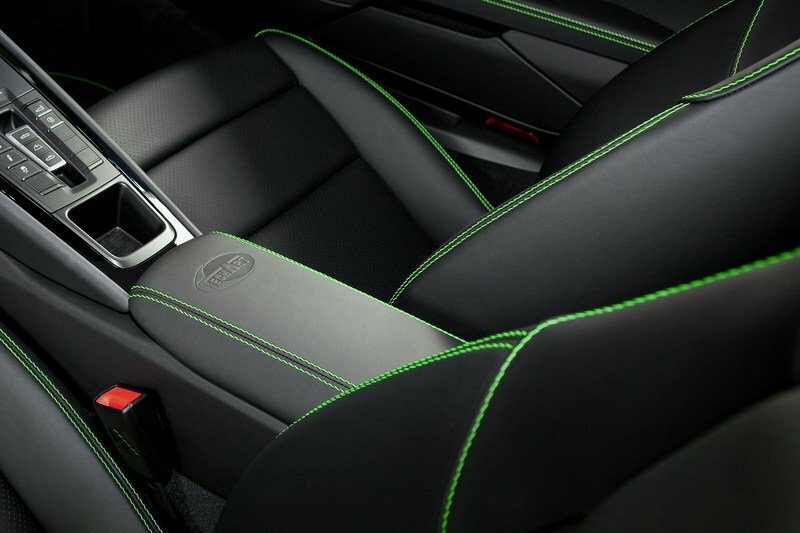 For the interior, the tuner is offering black leather sport seats plus numerous elements in black leather and green decorative stitching. There is also a three-spoke sport steering wheel wrapped in black leather and Alcantara with green stitching, paddle shifters in black matte finish with green symbols, and green TechArt Dials. Prices for the new kit will be announced during its official debut in Geneva. The new TECHART Exhaust System Racing with valve control and double centre tailpipes replaces Porsche’s standard exhaust system and gives the car a more aggressive and sporty look, which reminds of RSR models. Controlled by the sport button at centre console the acoustic performance of the Porsche 911 Carrera 4S becomes clearly more sonorous and throaty. The exhaust system is also drivable in closed condition. As sole manufacturer TECHART currently offers this valve-controlled exhaust system with double centre tailpipes for all Porsche 911 Carrera S models. Also available: TECHART sport end mufflers Racing and sport exhaust system with valve control in combination with double flow TECHART Sport Tailpipes. Both systems are recognizable by black chromed or polished TECHART Sport Tailpipes in typical double-oval design. TECHART Sport Tailpipes are also available for the standard exhaust system of Porsche 911 Carrera S and 4S, as well as for the Porsche sport exhaust system of all current 911 Carrera models. 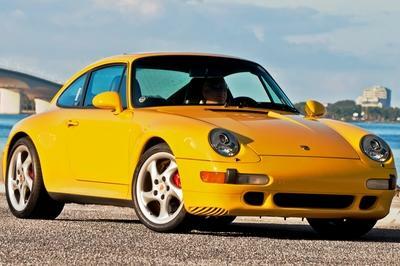 The Porsche 911 Carrera 4S looks odd with its yellow green color. Perhaps I like the white or brown version of the car. But the interior looks totally cool since yellow green and black really combine so well. 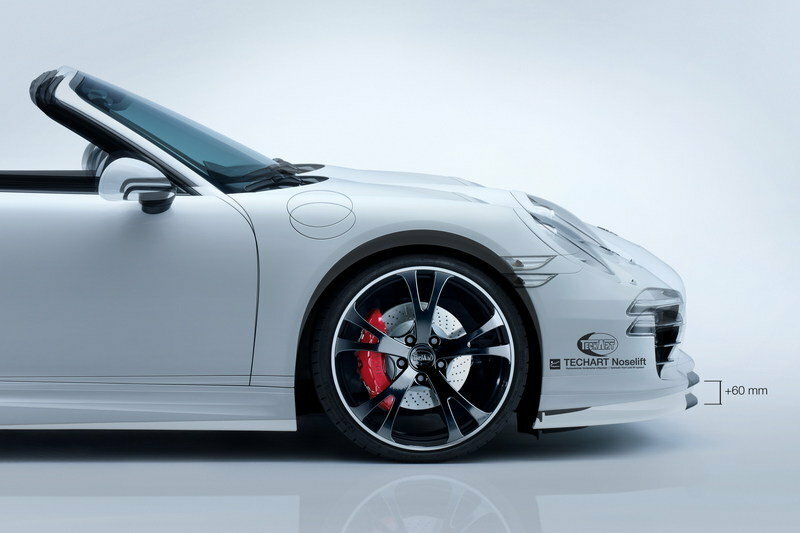 For Porsche 911 models TECHART offers the TECHART Formula 5-spoke light alloy wheel in 20- and 21-inch sizes, as well as the TECHART Formula III 5-twin spoke forged light alloy wheel. A weight advantage of up to 15 % compared to a cast wheel and thus a reduction in unsprung mass contributes directly to an increase in driving dynamics...What else could we just ask for more? I know that this is a sports car, but the interior green lines deconstruct the entire beauty of the designs architecture..
Techart surely gives the best elements for this carrera, to improve it. Each piece is finely selected, si the vehicle would work at its best. And it also looks amazing! 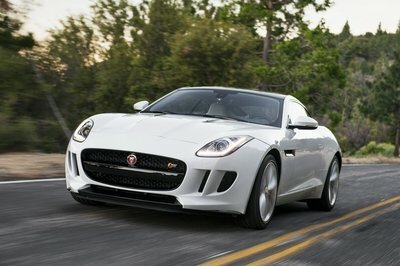 The green version looks totally cheap!I would rather go for a black one, or the bronze tinted one.Good car!! It has such great elements!I love it!Porsche carrera 4S rules!Foreveeer! 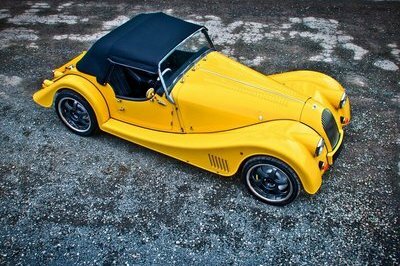 It’s a very beautiful car!I’m not so much into technical stuff, but I like the way it looks.I don’t see any price listed, does anybody know how much could this cost? Wow, man, the interior look is just awesome!I’d love to drive such a beast!! It’s design doesn’t seem to be so great, but I appreciate the fact that they are trying to push the limits to perfection regarding the technical details. 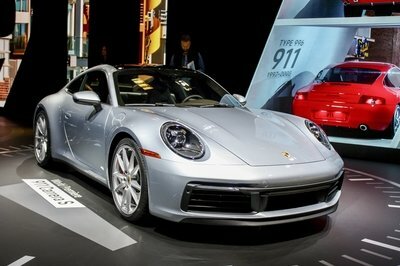 Woow, I was just asking myself these days when Porsche will bring up a new beauty!